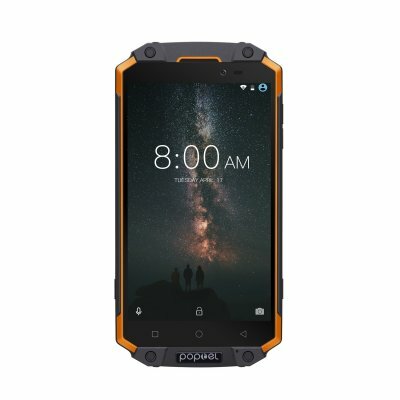 Successfully Added POPTEL P9000 MAX Smart Phone - 5.5 Inch, Dustproof, Shockproof, Waterproof - Orange to your Shopping Cart. Bigger, harder, and longer lasting, 9000mAh rugged, constant electricity for outdoor activity. 5.5 inch screen, 1920 * 1080 HD resolution with LTPS tech, which support multi-point touch. Dustproof, extreme cleaning, powerful appearance, preventing sediment or dust from entering your phone. IP68 waterproof, make your phone survivable in harsh outdoor environment. Shockproof, rubber protacting, 1.5m drop resistance.